Are you a dark side devotee? The Dark Empire may be the fan group for you. 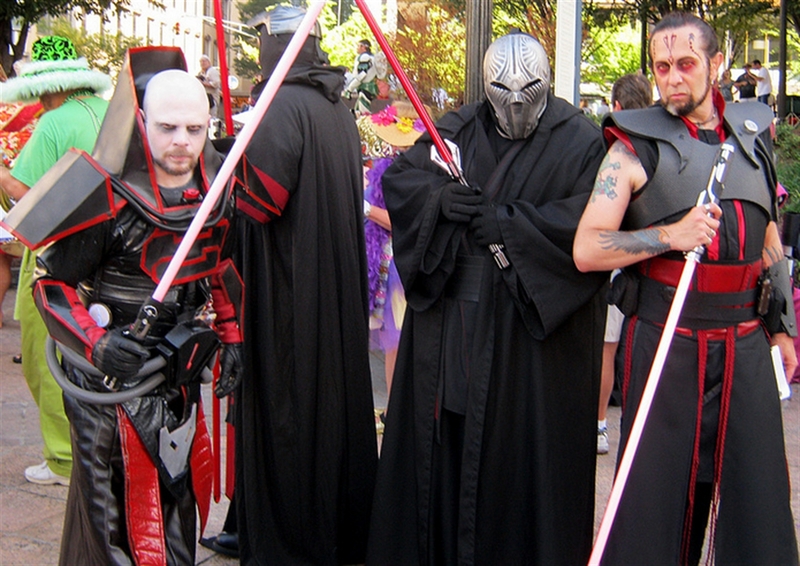 A costume club devoted to the dark side that does charity work can’t be all that bad. In fact, screen-worthy looking outfits and customized characters aren’t the only thing that “TDE,” a club named after the first Legends comic with an original storyline, has to offer. You don’t have to be a costumer to fully appreciate the many aspects of the dark side! 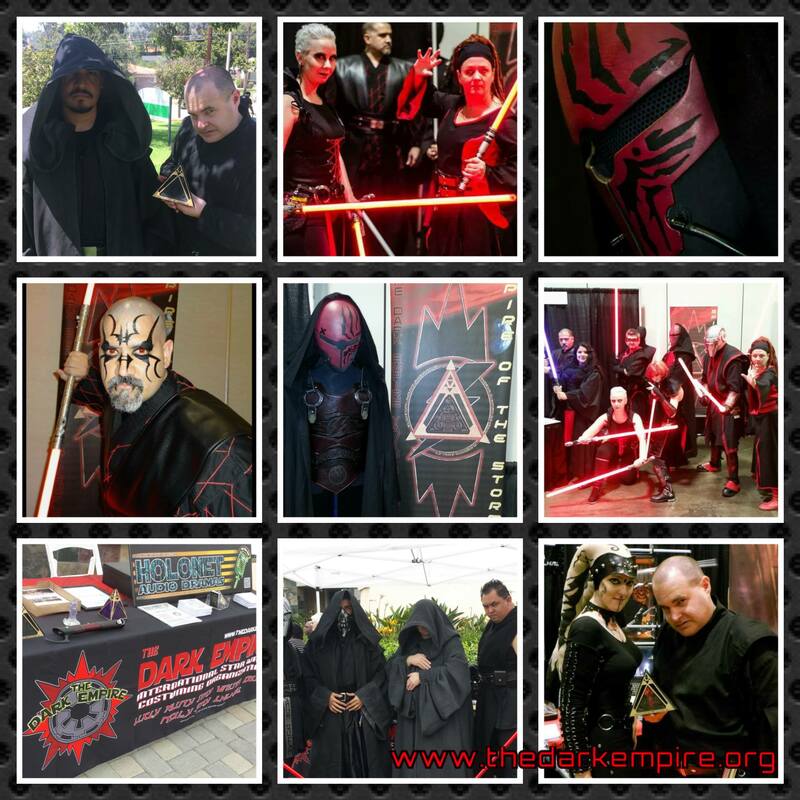 Back in 2009, I was looking for a fan group that specialized in dark side costuming, as well as appreciation of the darker side of the Force. 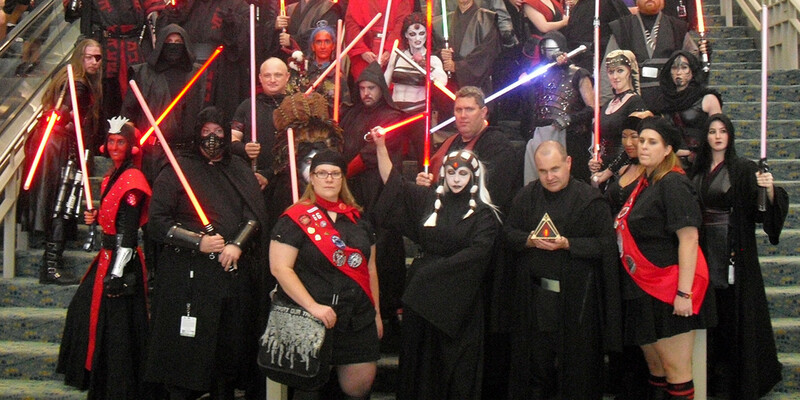 I found that in a little known club called “The Dark Empire,” and little did I know then, over the years it would change entirely, offering more than just costuming as a part of what it does as an organization. Being an avid podcaster and a listener of many podcasts, especially of the Star Wars variety, I took note that after a few years of existence, the Dark Empire still lacked considerably in membership, and I wanted to do something about it. As the first Tyran’ari, or public relations officer of TDE, I embarked on a quest to help make that change. Not only did I want to inform the inhabitants of the Sol system about TDE and its costuming and charity work, I also wanted to create a fun dark-side-themed show that anyone, club member or not, could enjoy. After conferring with the leaders of the club at the time, the first incarnation of Dark Empire Radio was born in early 2010. That was only the beginning of many fun things that TDE would have to offer to both members and non-members alike. Before the fun began to take full swing, however, TDE itself experienced quite a swing — a complete turnaround; the club underwent a thorough transformation from top to bottom in the middle of 2010; everything changed except the name of the club itself. With the overhaul, the Dark Empire incorporated many aspects from its namesake, as well as some of the Sith language into the many leadership positions and other aspects of the club. When it comes to costuming, though, the Sith aren’t the only types of costumes TDE allows within its ranks. 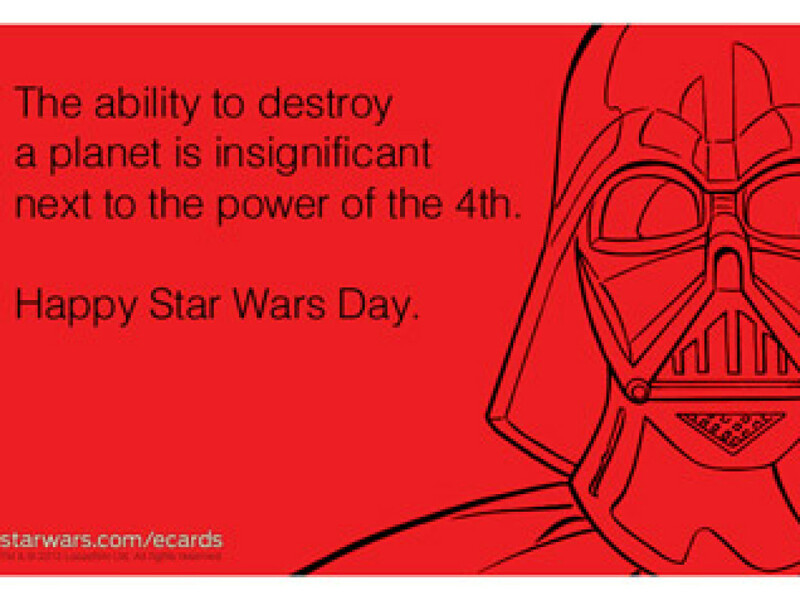 Maybe you are a fan of the dark side, but not necessarily a fan of the Sith? Or, perhaps you take a more “neutral” position on things, not really sure if you care about the light or the dark sides of the Force? Maybe a non-Mandalorian bounty hunter, or Sith-affiliated pirate, or smuggler costume is something more to your liking? Let me address what I mean by all of these different costuming options we offer folks seeking full or “official” membership within the Dark Empire. 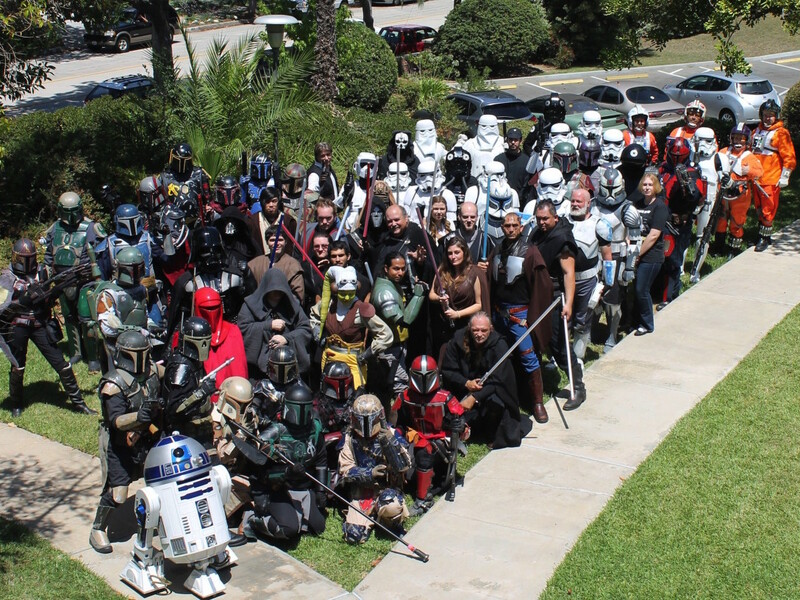 TDE offers canon and custom costuming choices in its membership base. To become a full member, one must pass the “Dark Trials” and have a costume that meets or exceeds our standards for that particular category. In addition to canon or custom Sith, we allow for custom or canon Dark Jedi (such as Pong Krell, or one of Palpatine’s dark Jedi warriors from Dark Empire, etc. ), Gray Jedi (Imperial Knights from the Legacy comics, and even Qui-Gon Jinn are some canon examples). TDE is very much an expanded universe, or “Legends” club, so it’s only fitting that we are named after the Dark Empire comic and audio drama. We even have our own audio dramas, but I’ll get into that a little later. Just to clarify what we as a club consider canon — for us, if it has the Star Wars brand, then we consider it to be “canon.” So, in TDE, the Star Wars books and comics are just as canon as the films and TV episodes are, as far as we’re concerned. What about the “non-Mandalorian” and “Sith-affiliated pirates and smugglers” categories? Well, TDE is observed to have been founded in April 2007, very near to when our sister club, the Mandalorian Mercs, were founded. As you can imagine, both TDE and the Mercs are both looking forward to celebrating our birthdays at Celebration Anaheim in April 2015! Out of respect for our sister club, we don’t accept Mandalorian costumes in TDE, just like we don’t accept stormtrooper costumes or Rebel pilot costumes, as a show of club respect toward the 501st and Rebel Legions. Our canon bounty hunters must be “Sith-affiliated,” meaning that the character must have had a working relationship with the Sith at some point. Cad Bane and Aurra Sing are great examples of this, so we allow for Cad Bane and Aurra Sing costumes in TDE, as well as other canon bounty hunters. 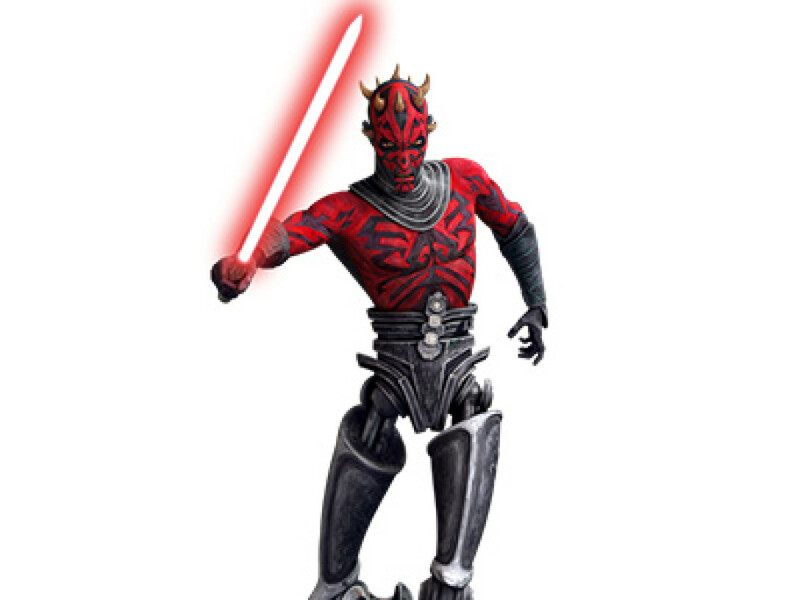 Custom bounty hunters range from Twi’leks to other types of custom outfits that resemble characters from the Star Wars universe. Hondo Ohnaka is a great example of a canon Sith-affiliated pirate, and members of his species would make for great customs of this category. We have yet to see members or members-to-be dive into this option, or the smuggler option, but we’re looking for them! And then there’s Dark Empire Radio. Relaunched in February 2014 after a long hiatus, DER is the official podcast of the Dark Empire costume club. But it’s also more than that. DER is a fun podcast for all fans of Star Wars, especially the dark side. In fact, we call it the greatest audio ride along the dark side! 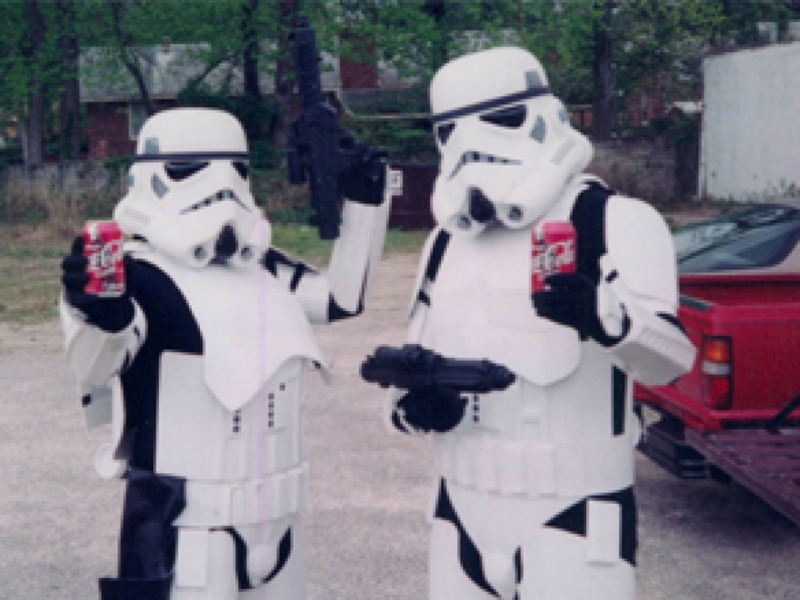 There are some TDE mission reports and other club updates on Dark Empire Radio, but the rest of the program contains wacky “commercials,” dark side discussions, an occasional interview, and much more. DER and H-NAD are both podcasts of The Dark Empire, part of a little podcast “network” I created that I like to call the “H-NAD Network.” Both podcasts are linked on the TDE website, and can be found in places like iTunes and Stitcher. It’s only been in the last few years or so that TDE has really begun to take off as an international fan-operated organization. As I write this, we are quickly approaching our 300th approved official member, and we’ve been consistently raising or helping to raise hundreds of thousands of dollars for different charities and charitable causes annually. 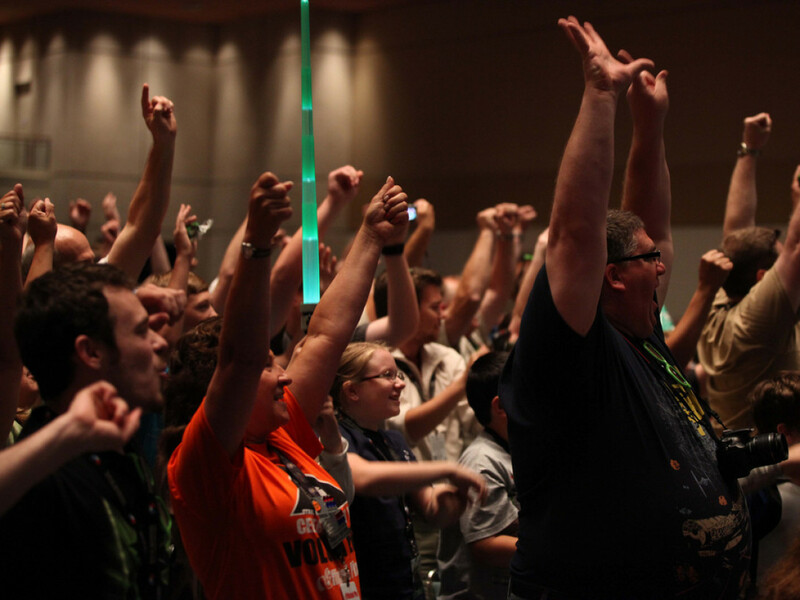 Celebration VI in Orlando was our first appearance as a club at a Celebration event, and we’re looking forward to having another “most impressive” display on the con floor again at Celebration Anaheim.